Construction and comprehensive service of online derivatives matters. Reliability, timeliness and faithful implementation is guaranteed, with every remarks into a given project. We always design strategies and goals to fit your needs. Your website is used to provide information, but above all it is the company's most important showcase. Any idea you have can be implemented with pixel perfect precision to create an engaging and professional website. Furthermore you can count on our guidance and advice to harmonize your concept with the correct solutions. Currently most of the web traffic comes from mobile devices. Use the advantages of leading tech like Ionic and native elements thanks to which you can create customized, high performance mobile applications for Android and iOS, at the same time. This way you can reach more customers and simplify the development process. We build supremly cool developed mobile apps. Our tech stack is chosen individually and is always up to date. This way the product you need will be reliable, robust, intuitive and boosted. By mastering different technologies, we are able to work for a wide array of companies, from startups to global organizations. BoostTypers gave us exactly what we needed. They were quick to respond and come up with ideas and suggestions for finding the sharpest solution at the least cost and time. My experience working with BoostTypers has been really positive and I would recommend them to others without hesitation! We worked well together and were able to achieve the desired results. Great piece of software – would definitely recommend this software development agency to anyone who wants to get the job done smooth. We deliver on AppFutura & CLUTCH as our clients demands. 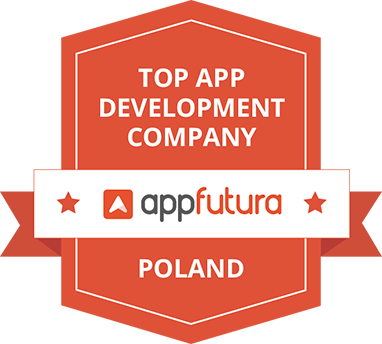 Check us out on AppFutura & Clutch – you can review feedback from our clients, see what we are doing now and what we did in the past. Interested in working with Boost Typers? Would love to get a quote? We take projects on a first-come, first-served basis. Availability is always limited.